Lao Cai (Vietnam) (AFP) - When Kiab turned 16, her brother promised to take her to a party in a tourist town in northern Vietnam. Instead, he sold her to a Chinese family as a bride. The ethnic Hmong teenager spent nearly a month in China until she was able to escape her new husband, seek help from local police and return to Vietnam. "My brother is no longer a human being in my eyes -- he sold his own sister to China," Kiab, whose name has been changed to protect her identity, told AFP at a shelter for trafficking victims in the Vietnamese border town Lao Cai. "This problem has largely been swept under the rug by the Chinese authorities," said Phil Robertson, deputy Asia director at New York-based Human Rights Watch. Vietnamese girls are sold for up to $5,000 as brides or to brothels, said Michael Brosowski, founder and CEO of Blue Dragon Children's Foundation, which has rescued 71 trafficked women from China since 2007. "The girls are tricked by people posing as boyfriends, or offering jobs. Those people do this very deliberately, and for nothing other than greed and a lack of human empathy," he added. Communist neighbours Vietnam and China share a mountainous, remote border stretching 1,350 kilometres, marked primarily by the Nam Thi river and rife with smuggling of goods of all kinds: fruit, live poultry and women. "It is mostly women who live in isolated and mountainous areas who are being trafficked across the border, because there is no information for us," said 18-year-old Lang, from the Tay ethnic minority, who walked across the frontier illegally and was sold to a Chinese family by a friend. In northern Vietnam, trafficking has become so acute that communities say they are living in fear. "I worry so much about it, as do all the mothers in the villages, but it has happened to a lot of girls already," said Phan Pa May, a community elder from the Red Dao ethnic minority group. "I have one daughter. She's already married, but I'm worried about my granddaughter. We always ask where she is going, and tell her not to talk on the phone or trust anyone." 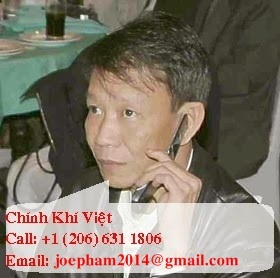 Activists working to combat trafficking in Vietnam said police and authorities take the problem "very seriously". 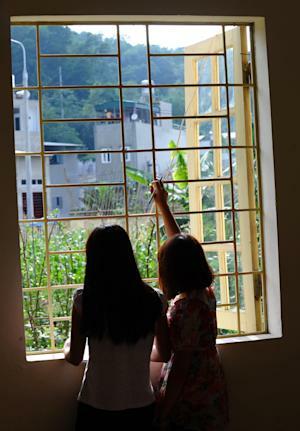 The shelter in Lao Cai opened in 2010 and has helped scores of female victims. "There is nothing at home for these girls, not even enough food to eat," said director Nguyen Tuong Long, referring to the dire poverty that is another key driver. May Na, from the Hmong ethnic minority, was 13 when her uncle took her across the border and forced her to marry a Chinese man. "I could not accept it. They left me at home alone and I climbed over the wall and ran away. I was wandering for more than a day, lost, sleeping in the streets, crying," she said. Eventually, Na ended up at a police station, but because she spoke neither Chinese nor Vietnamese -- only her native Hmong -- it took police a month to figure out what had happened and return her to Vietnam. Now 16, Na -- the eldest of five children -- is learning Vietnamese at the Lao Cai centre. Her uncle has been arrested, she said, but she has chosen not to return to her own family. "I was so sad when I was in China. It was a painful experience for me," she said. The government says it has launched education programmes in rural areas, near the border, warning young girls not to trust outsiders. Long, the centre director, says he believes the number of cases is falling. In neighbouring Cambodia, there have been some prosecutions, but An Sam Ath of rights group Licadho said the scourge is still happening, adding: "I am worried the problem will spread." Anti-trafficking groups in Vietnam say it is hard to warn girls of the risks when it is often a family member or friend carrying out the deception. Instead, they say there should be harsher penalties for traffickers -- including, for example, prosecutions at local level to raise awareness in villages of potential punishments to deter people from trying.